The "Harry Potter" Guide To The U.K.
Ready for some serious geeking? The Dursleys' home, where Harry inhabits the cupboard under the stairs before he gets whisked away to Hogwarts, is actually a private home in Berkshire. Before he finds out he's a wizard, Harry speaks to a boa constrictor in the Reptile House at London Zoo, causing his cousin to fall into the enclosure. When Philosopher's Stone was filmed, the pub was set in Leadenhall Market and its entrance was just an empty shop. Now, though, it's an opticians called The Glass House. In Prisoner of Azkaban it moves southeast to 7 Stoney St. Although the wizarding bank's exterior is a set, its interior was filmed in Australia House, between Aldwych and the Strand. The wall that witches and wizards run into to access Platform 9 ¾ is actually located between platforms 4 and 5 at King's Cross Station. 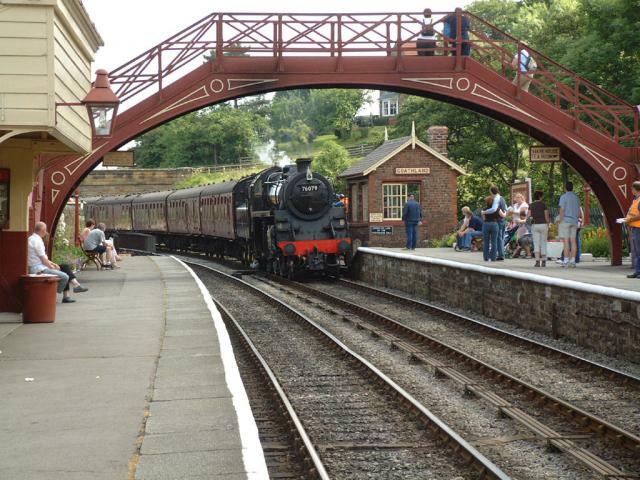 The station that serves both the village of Hogsmeade and Hogwarts is actually Goathland Station, on the North Yorkshire Moors Railway. The corridor that leads to The Fat Lady and Gryffindor's common room is located within Gloucester Cathedral's cloisters. 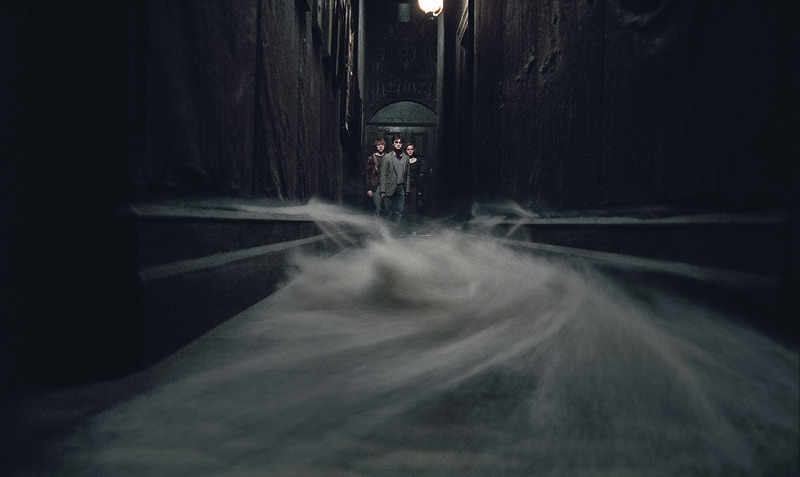 In Chamber of Secrets, this is also the corridor in which Ginny writes “The Chamber of Secrets has been opened” in blood on the walls. 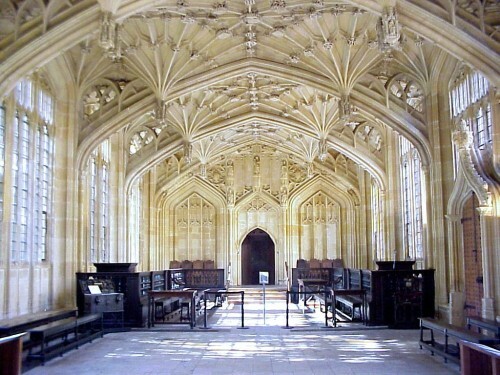 In Goblet of Fire, everyone sports "Potter Stinks" badges in New College's cloisters in Oxford University. New College's quad is also where Mad-Eye Moody turns Draco into a ferret. 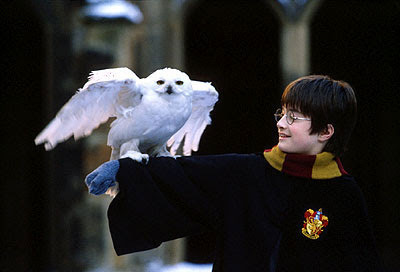 The snowy quadrangle where Harry first sets Hedwig flying is actually part of Durham Cathedral. This is also where Ron regurgitates slugs in Chamber of Secrets. Professor Snape's classroom, where he teaches his students "how to bottle fame, brew glory and even put a stopper in death," is based in Wiltshire. Also located in the Wiltshire Abbey is professor Quirrell's classroom. It houses a genuine cauldron. The room where Harry stumbles across the mirror that shows him his deceased parents in Philosopher's Stone is in Lacock Abbey. In Chamber of Secrets, professor McGonagall uses the same room for her lesson on how to turn animals into water goblets. 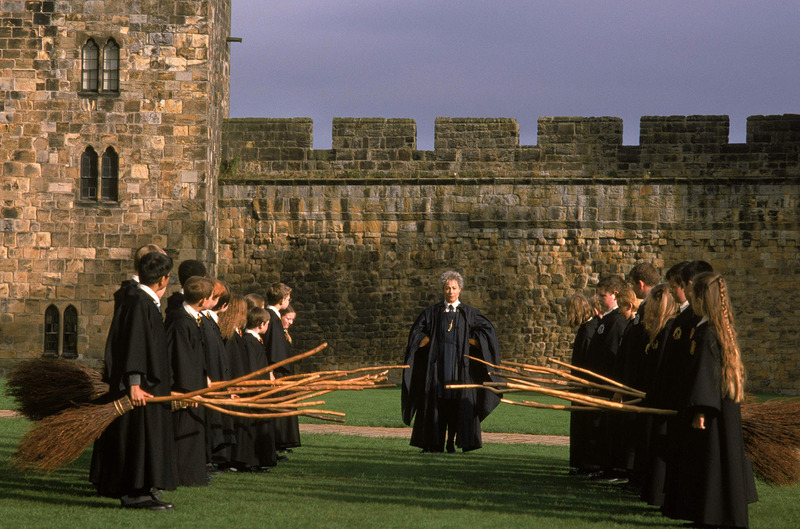 Madam Hooch's first flying lesson takes place outside Alnwick Castle in Northumberland. Harry and Ron also land the Ford Anglia there in Chamber of Secrets. Professor Flitwick's classroom, where Hermione manages to successfully levitate a feather using the Wingardium Leviosa spell, is based in Harrow School in Middlesex. The school library, where Harry researches Nicholas Flamel in Philosopher's Stone, is located in Oxford's Duke Humphrey's Library, which is one of the special collections reading rooms at the Bodleian. In Chamber of Secrets, Hermione reads about Polyjuice Potion there, and in Half-Blood Prince Harry and Hermione discuss who to take to Slughorn’s Christmas party here. 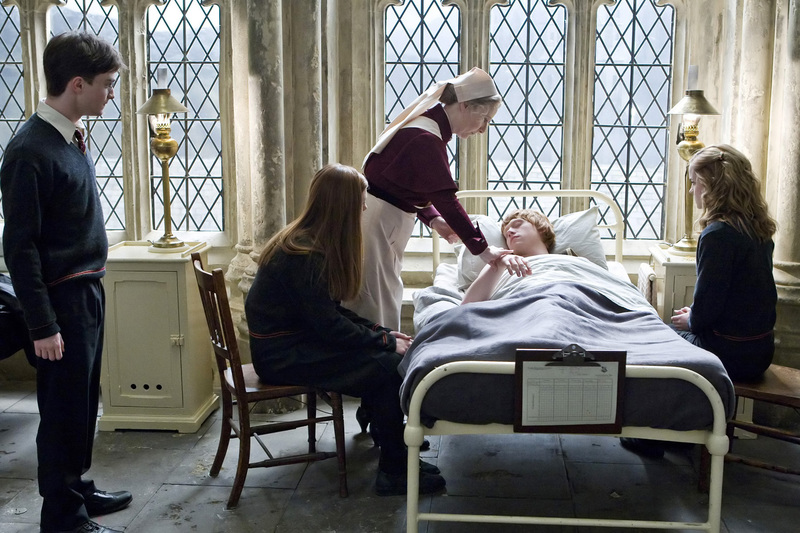 The school's in-house hospital is actually set in one of Oxford's university buildings. In Goblet of Fire, this is also where professor McGonagall teaches Ron how to dance before the Yule Ball. In Chamber of Secrets, Harry has a flashback and sees Tom Riddle talking to professor Dumbledore. This was filmed at Oxford University. Although the car looks like it takes off from outside King's Cross Station, this scene was actually filmed outside St Pancras International. 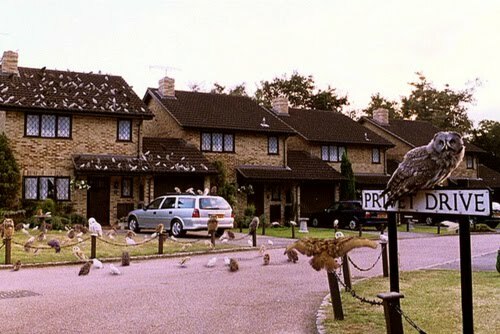 The Weasleys' house was build right opposite the film’s main base at Leavesden Studios in Hertfordshire for Chamber of Secrets. But for Half-Blood Prince, the Burrow was located in Abbotsbury's Swannery, near Weymouth. On their way to school, Harry and Ron almost crash the Ford Anglia into the Hogwarts Express on the Glenfinnan Viaduct. West Coast Railways run a Jacobite Steam Train during the summer on this track. 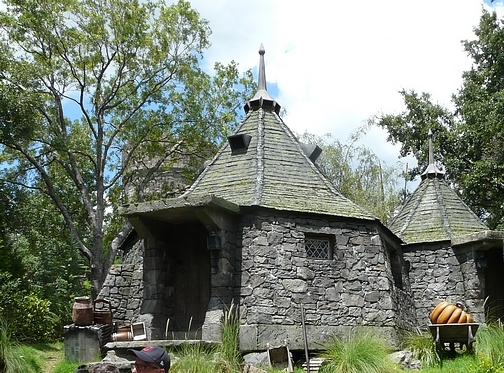 Based just outside Pinewood Studios in Buckinghamshire, Hagrid's Hut was set in Black Park. In Goblet of Fire, Black Park is also where Hagrid first shows Harry the dragons before the Triwizard Tournament. 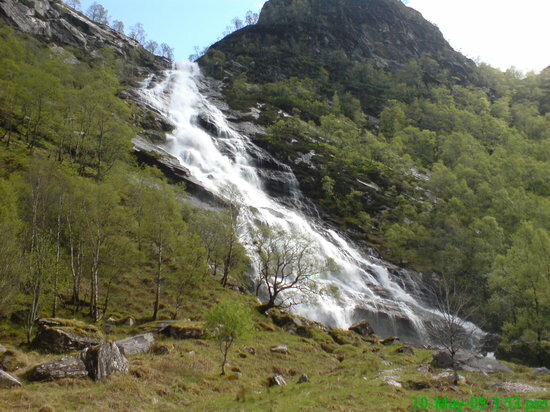 In Order of the Phoenix, it moves to Clachaig Gully in Scotland. 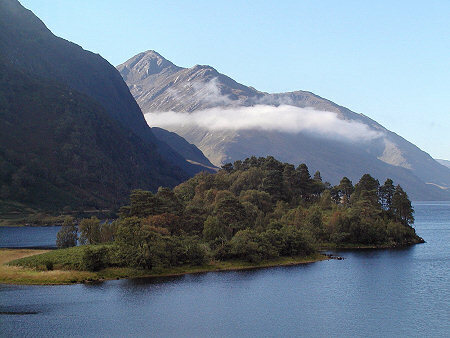 The lake surrounding Hogwarts is actually Loch Shiel in Scotland. This is the lake over which Harry rides the Hippogriff in Prisoner of Azkaban. In Goblet of Fire, its shore is where Hermione has to pass messages between Harry and Ron and where Mad-Eye Moody confronts Barty Crouch Sr. 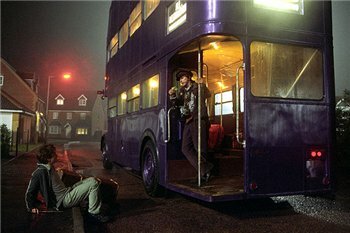 In Prisoner of Azkaban, the Knight Bus picks Harry up from the side of the road on Dowding Way, a housing estate near Leavesden Studios in Hertfordshire. After picking Harry up in Prisoner of Azkaban, the Knight Bus drives along Green Lanes in Palmers Green, goes through from Bourne Hill, and then turns left into Park Avenue, before dropping Harry off at the Leaky Cauldron. In Goblet of Fire, on the way to the Quidditch World Cup, the Weasleys and Harry bump into Cedric Diggory. This takes place in Ashridge Woods. At the beginning of Goblet of Fire, Harry and the Weasleys find a "manky old boot", which turns out to be a portkey. 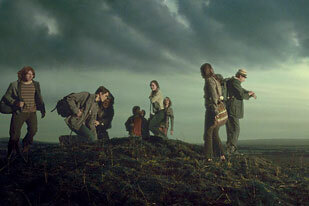 The spot they find it is Beacon Hill near Berkhamsted. As soon as they pick up the boot in Goblet of Fire, everyone gets transported to the Seven Sister Cliffs. 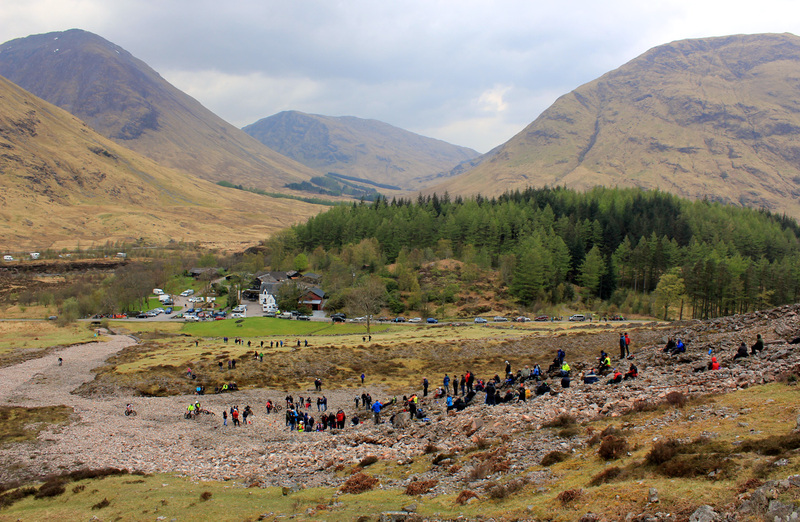 Harry takes on the dragon in Glen Nevis, Scotland. 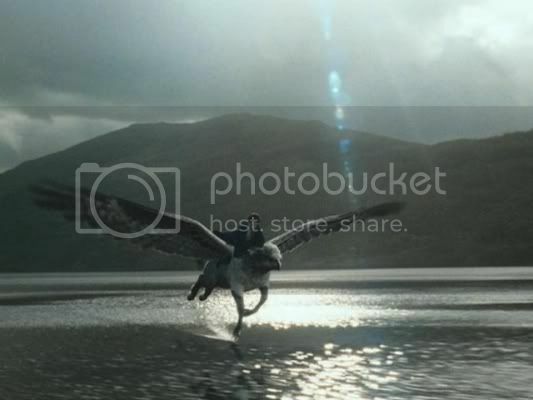 At the beginning of Order of the Phoenix, Mad-Eye Moody — along with Harry and his friends — frantically escapes the Dementors by flying along the Thames. The escape route from the Dementors leads everyone to Sirius Black's house, which is being used as the Order of the Phoenix's headquarters, at 12 Grimmauld Place. 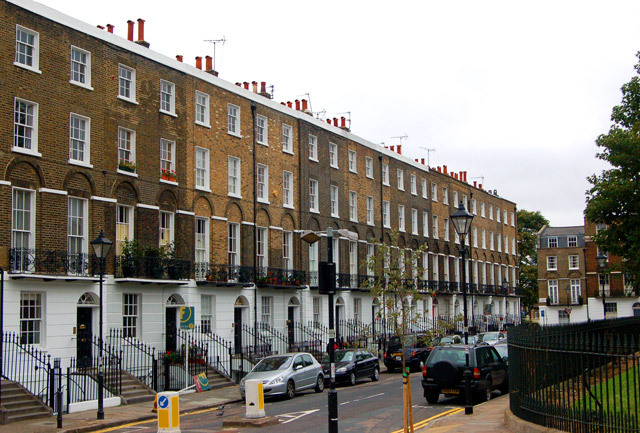 The house is actually on the south side of Claremonth Square in Islington. The Ministry of Magic lies between Trafalgar Square and the Houses of Parliament in Westminster. As Arthur Weasley takes Harry to the Ministry of Magic, he tries to blend in with Muggles at Westminster Station. “Trains underground! Ingenious, these Muggles," he exclaims. 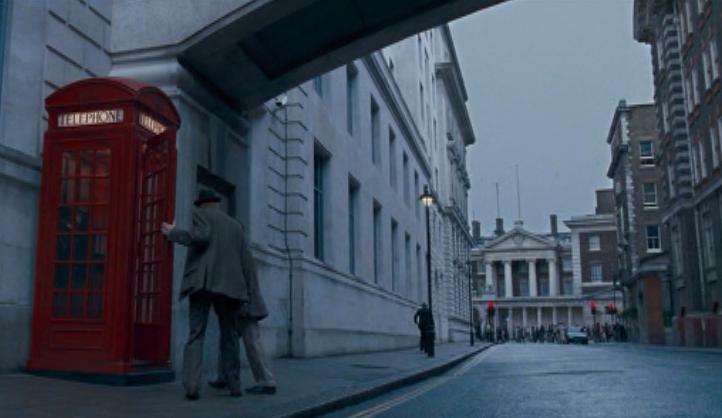 Although the post box that visitors walk through to get into the Ministry of Magic isn't actually there in real life, it's located on Great Scotland Yard. This is also where Hermione, Ron, and Harry knock out three Ministry employees in order to steal their identities in Deathly Hallows: Part One. 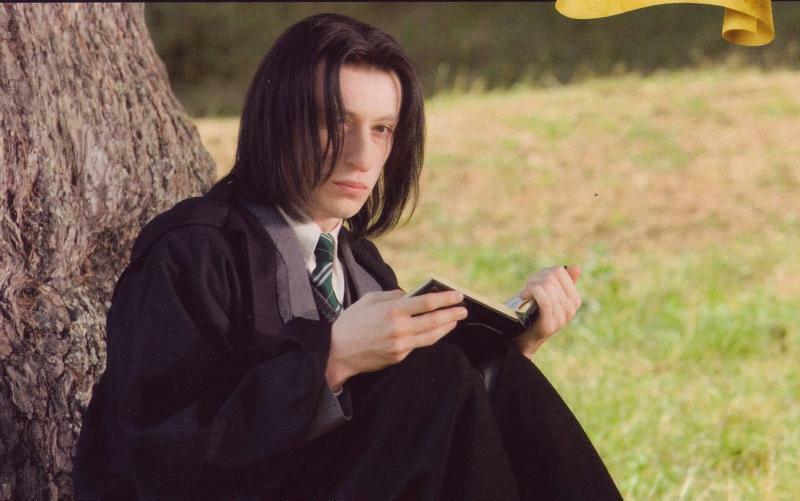 In Order of the Phoenix, Harry has a flashback to his father as a teenager bullying Snape. This scene is set in Woodstock, where Sir Winston Churchill was born. At the beginning of Half-Blood Prince, a group of Muggles see some wizards fly past their office block. 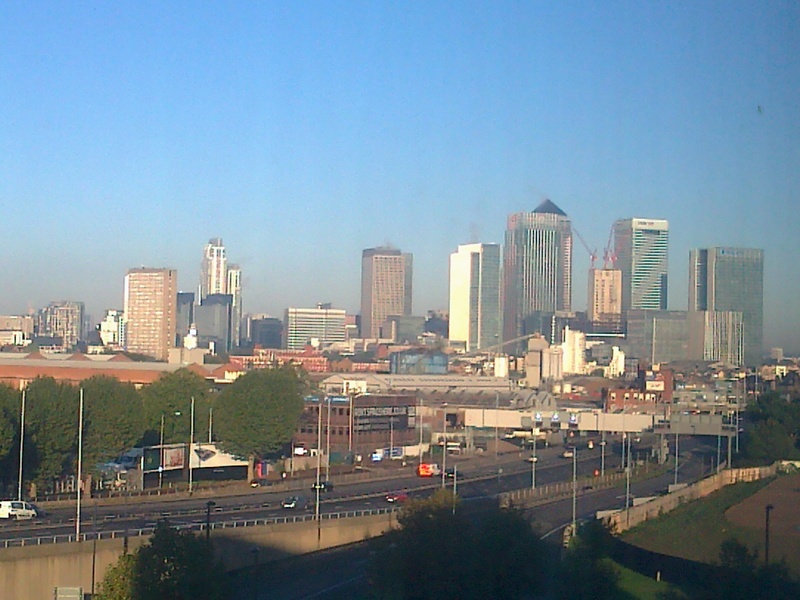 They're in the mayor's London office. 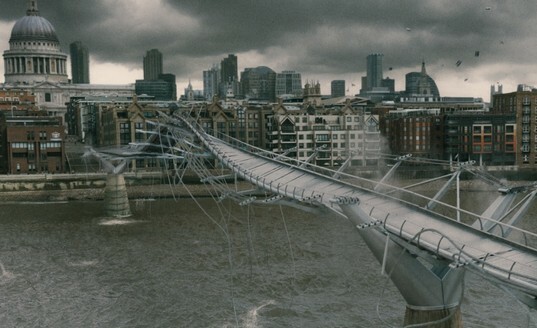 After destroying the Millennium Bridge, they end up on Great Newport Street, which is now the entrance to Diagon Alley. 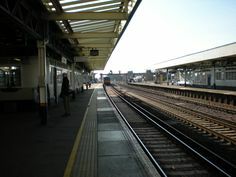 The railway café in which Harry reads the Daily Prophet in Half-Blood Prince was Café Chaud on Platforms 1 and 2 of Surbiton Station, on the South Western Main Line. 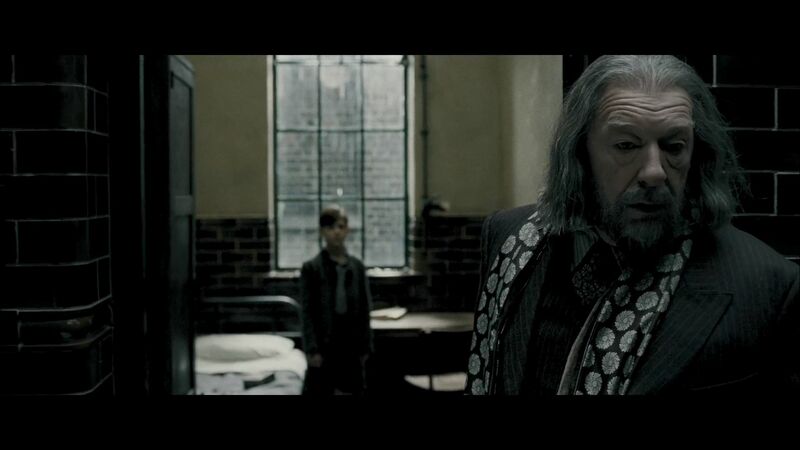 Harry then notices professor Dumbledore, who is standing on Platform 3. After meeting at the train station in Half-Blood Prince, Dumbledore takes Harry to Horace Slughorn's house in Wiltshire. The sea cave to which Dumbledore takes Harry to find the Horcrux in Half-Blood Prince is at the foot of the Cliffs of Moher, on the Atlantic coast of County Clare. Although the Horcrux scene in Half-Blood Prince was filmed on the Cliffs of Moher, the rock on which Harry and Dumbledore appear is actually 90 miles away. It's Lemon Rock, which is off the Iveragh Peninsula. 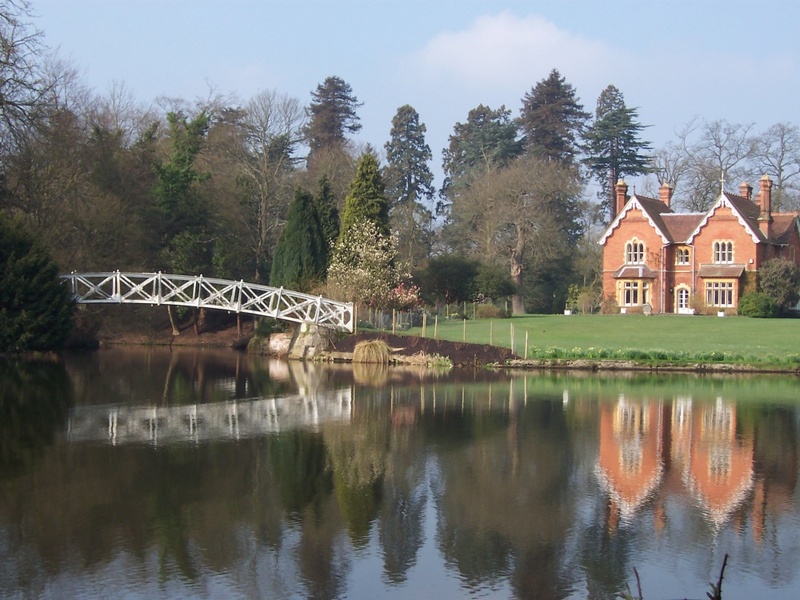 The heartbreaking scene in which Hermione erases herself from her parents' memories in Deathly Hallows: Part One is in their family home, in Hampstead Garden Suburb in London. In Deathly Hallows: Part One, Snape goes to Malfoy Manor for a meeting with Voldemort. The mansion's exterior is Hardwick Hall in Derbyshire. When Hagrid is chased by Death Eaters in the first Deathly Hallows film, he enters the southern side of the Dartford Tunnel, which runs under the River Thames. The tunnel's interior, though, is the Queensway Birkenhead Tunnel under the River Mersey. In Deathly Hallows: Part One, Hermione apparates Ron, Harry, and herself to Piccadilly Circus at the foot of Shaftesbury Avenue. They appear in front of Gap. The toilets into which Ministry employees flush themselves are located on Horse Guards Avenue, by the junction with Whitehall. In real life, there isn't a toilet there. 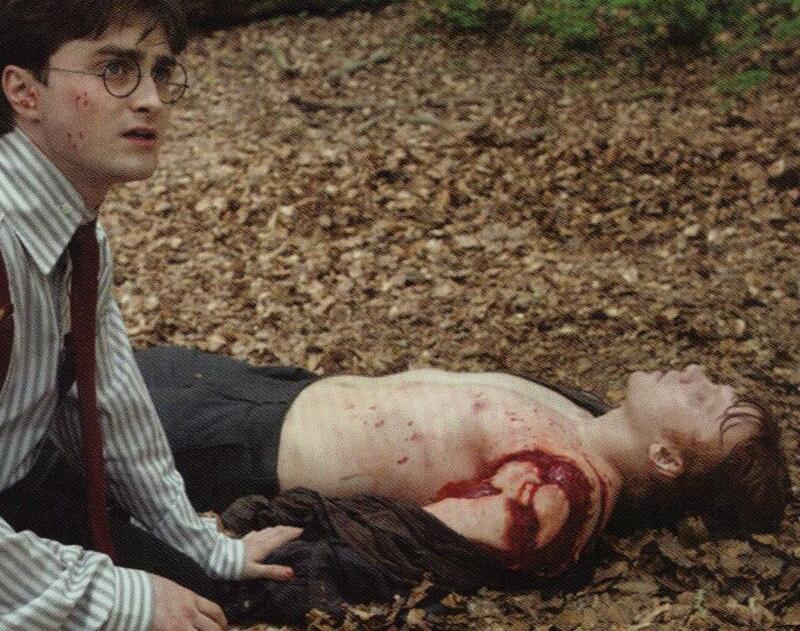 After grabbing the Horcrux in Deathly Hallows: Part One, Ron gets splinched in Burnham Beeches in South Buckinghamshire. 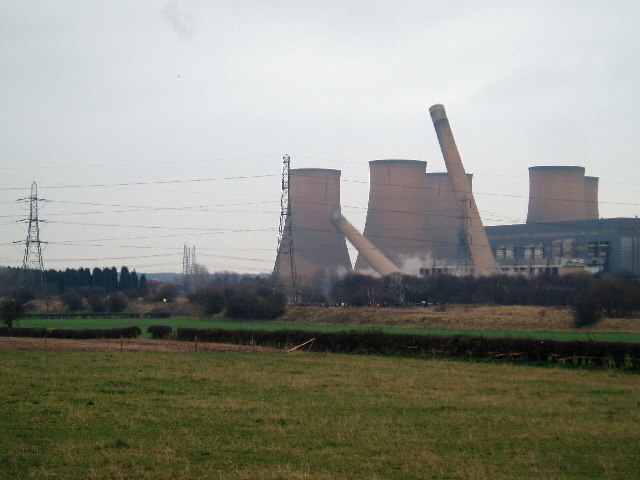 The deserted cooling towers under which Harry, Ron, and Hermione camp during Deathly Hallows: Part One are at High Marnham Power Station in Nottinghamshire. 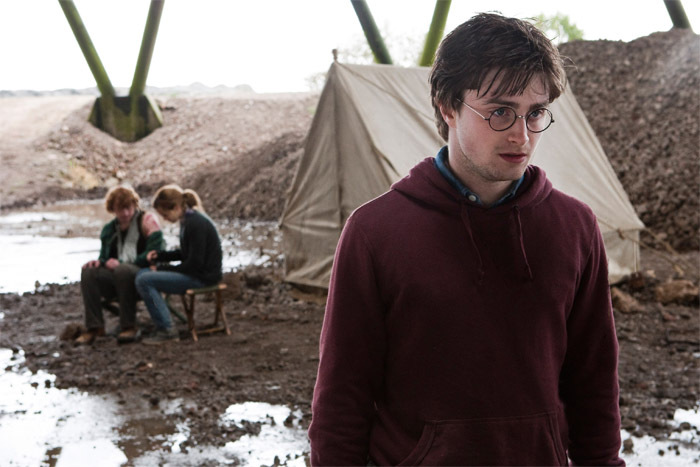 After Ron stomps off, Harry and Hermione take up a new campsite in North Yorkshire. Harry decides to return to his birthplace, Godric's Hollow, which is in Suffolk. 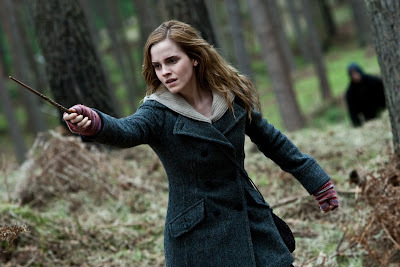 As Harry, Ron, and Hermione get chased by Snatchers in the first Deathly Hallows film, they enter Swinley Forest, which is just south of Bracknell. In Deathly Hallows: Part Two, the entrance to the bridge to Hogwarts is also here. Dobby's tragic death, at the end of Deathly Hallows: Part One, happens at Freshwater West. 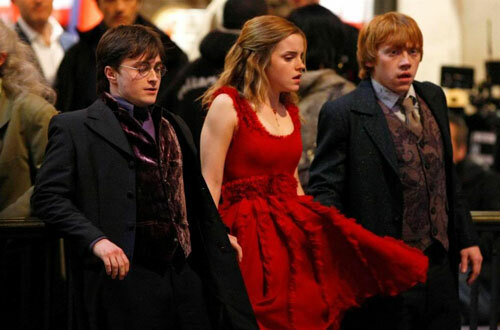 In the last scene of Deathly Hallows: Part Two, 19 years into the future, Ron, Hermione, Harry, and Ginny drop off their children at King's Cross Station. St Pancras Station's exterior is shown. And one scene was filmed outside of the U.K. and Ireland too. In Half-Blood Prince, we see the school train run along the Raumabanen railway line between Oslo and the Norwegian fjords.